WE ARE AN INTERNATIONAL CONSULTING COMPANY, SPECIALIZED IN THE DESIGN, IMPLEMENTATION AND SUPPORT OF IT SOLUTIONS FOR HUMAN CAPITAL MANAGEMENT (SUCH AS SUCCESSFACTORS, SAP HCM, ORACLE HCM CLOUD,...). Competent, reliable, fair, and friendly service with a fast reaction and solution on urgent issues. Just ask our clients! We provide fast and reliable high-quality support to our customers in all areas of SAP Human Capital Management (Cloud1) and OnPremise2)). Our around-the-clock services are available in many countries. 2) OnPremise … refers to the traditional SAP HCM or SAP HR solution, which requires additional owned or leased hardware. The HCM ADVICE team consists of highly committed, success-oriented and friendly individuals. We combine high technical know-how, personnel management expertise and over 20 years of consulting experience in the field—all for our customers’ benefit. When implementing and using SAP Human Capital Management and SuccessFactors, we make your satisfaction our top priority. Our team consists of consultants with international experience, high degree of social competence, multi-lingual knowledge and excellent educational background in Computer Science and/or Economy. 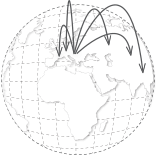 We provide our customers with consulting services in multiple languages: Chinese, German, English, French, Indian-Malayalam, Slovak, Spanish, Rumanian, Czech, Hungarian and many more. We provide diverse expertise not only for manufacturing, commerical and service enterprises from various industries, but also for different departments of public administration. Our project managers and consultants are committed to the fulfillment of customers’ requirements with prompt, high quality solutions in compliance with our project management methodology. Our managers supervise the implementation of projects and systematically instruct the personal development of our employees into highly accomplished consultants. Together, a group of people can make better decisions than an individual.1) Bearing this in mind, we have developed a strong culture of teamwork which enables us to efficiently provide the best solutions for our customers. An additional advantage of this is that several consultants are well-informed about a single customer’s requirements, ensuring that there is a contact person available for the customer at any time. 1)See for instance “The Wisdom of crowds. Why the Many are smarter than the few.” James Surowiecki, 2004. 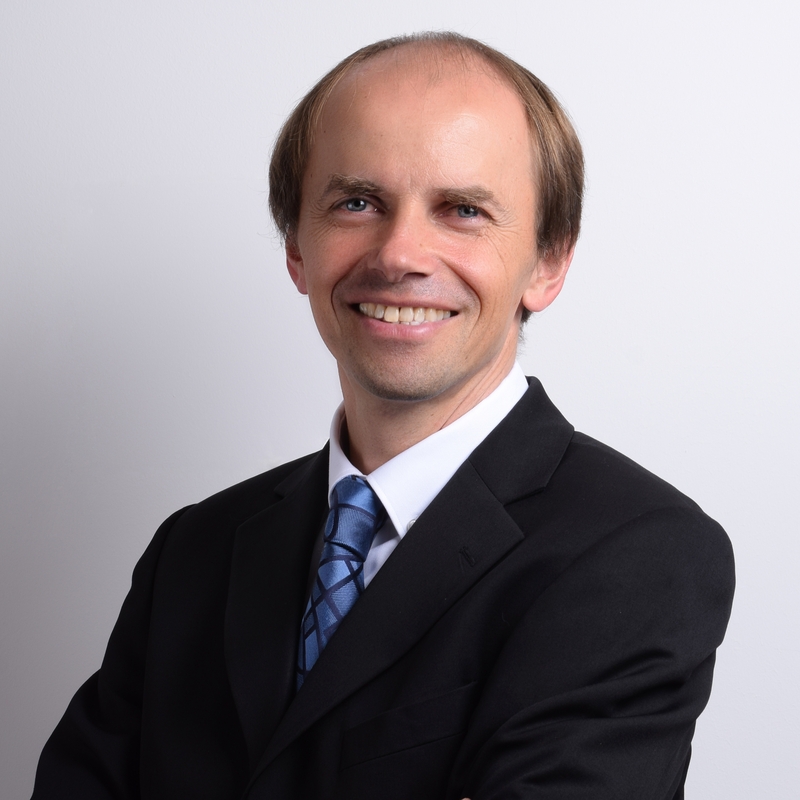 Michael Berthold is the founder and visionary leader of HCM ADVICE. He has many years of experience in SAP Human Capital Management (HCM), consulting as Head of Human Resource Management as well as in classic management consulting (e.g. company restructuring, cost-cutting, process optimization and coaching). In addition, he held positions as interim manager, both in the branch of production and distribution of consumer goods as well as for IT companies. He also holds many years of experience working in M&A/Corporate Finance. 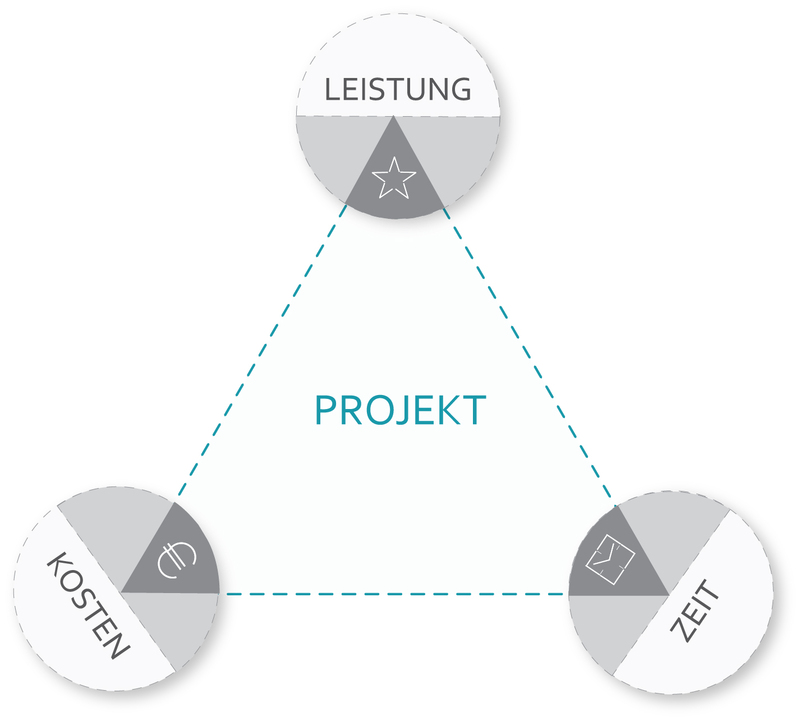 Our project management aims to achieve project objectives and exceed our customers’ expectations. 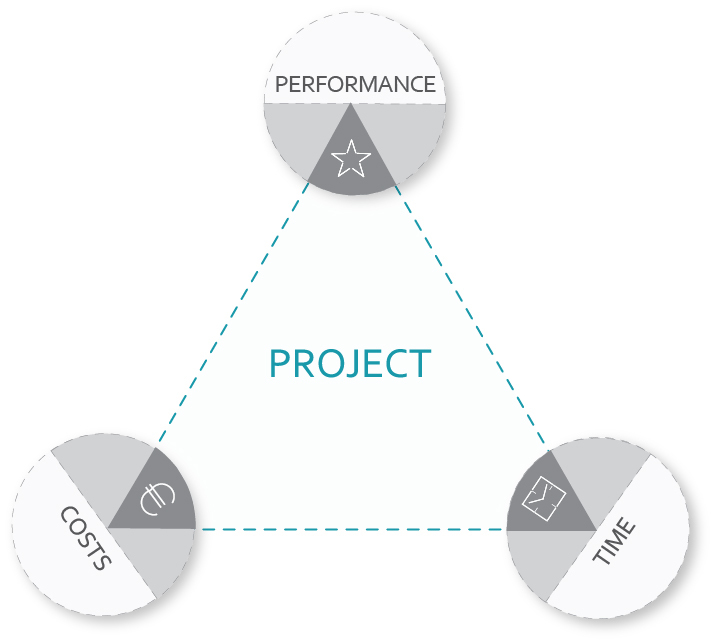 Generally main project objectives involve rendering a service within a specific time frame and at fixed costs. Our experienced ADVICE project managers strike the perfect balance between performance, time and cost at every stage of the project. We look forward to making your project, your projects or your program a success – Let’s talk about it. The quality of your SAP Human Capital Management (Cloud or OnPremise) implementation is directly related to the technical and professional expertise of your SAP HCM consultant. The quality of your implementation determines the simplicity of data evaluation as well as the working efficiency and work load of your executives and HR staff. In addition, a quality solution creates a more user friendly environment, reduces the error rate and lowers future costs for adaptations of your SAP HCM system. The difference between straight-forward implementation and prototyping process implementation lies in the design phase. While in straight-forward implementation, we invest much energy in the detailed conceptual design of the solution, during prototyping process, we quickly achieve a working prototype, which is then refined in several cycles in close cooperation with our customers. 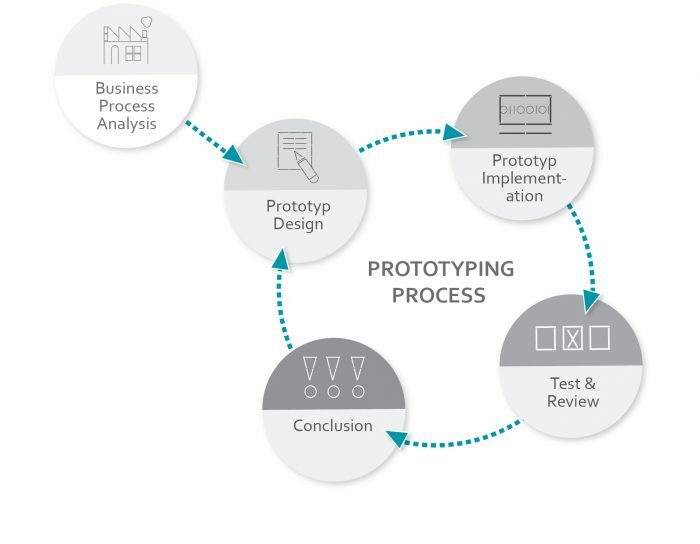 During the prototyping process, due to earlier contact with the SAP system, the customer will quickly attune to the processes and procedures of the system while the system can be adapted perfectly to the specific customer needs. As a consulting company specializing purely in SAP Human Capital Management, we implement all components of the SAP-HCM Module, whether in Cloud or OnPremise, as well as their interfaces to other systems. Supported by SAP HCM, we at HCM ADVICE transfer your human resources management and development activities into highly efficient, harmonized digitalized processes. It is our aim to deliver an outstanding, high quality implementation of your SAP HCM workforce process management and talent management solution. Our training objective is to share our knowledge in a form that is both well received and retained by the participants. We are ready to train your HR department, users (executives, specialists,…), key users, SAP HCM supervisors or your SAP Customer Competence Center with the appropriate training formats. Our training formats allow for individual trainings and group trainings with up to 30 people. We aim to organize our SAP HCM (Cloud or OnPremise) trainings in goal- and success-oriented and time-efficient way for our customers. The on-going service and support of your SAP HCM application (Cloud and/or OnPremise) is very important to us. We are accustomed to consulting our customers according totheir specific individual needs. Prompt answers to your phone calls, text messages, emails or electronic tickets are part of our daily service. Depending on your preference, we are prepared to be in touch either through professional ticketing systems or simply via email, text messages or phone calls. We are also happy to support you on site. No matter how you contact us, your requests always receive our highest attention. We support your management, your HR management, your employees, key users, SAP HCM supervisors or your SAP Customer Competence Center. We are happy to share our know-how with your employees—in as much depth as desired. No matter what level of support you need, we are happy to assist you in any area of your SAP Human Capital Management. 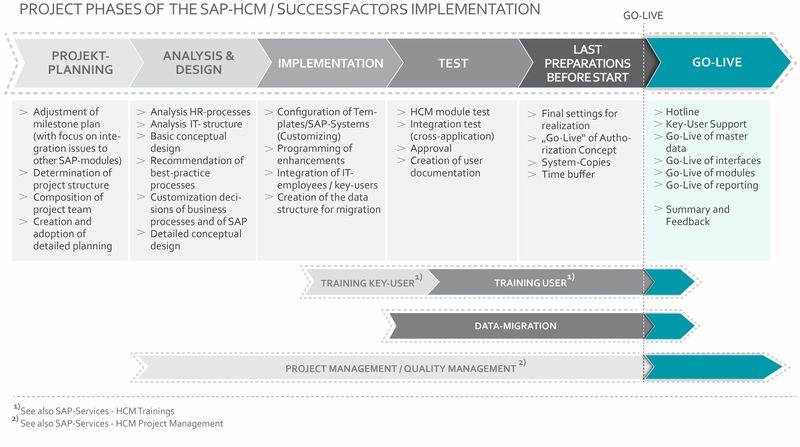 What are Templates in SAP Human Capital Management (HCM)? The standard SAP software leaves plenty of room for customizing and can be applied to various industries and countries. For quick and efficient usage, SAP itself has created industry solutions that already include industry-specific default settings. In addition, SAP delivers Rapid Deployment Solutions (RDS) including technical default settings for SAP HCM and SAP SuccessFactors. In order to implement and expand SAP systems more efficiently, additional templates, often referred to as apps, have established themselves on the market. Templates are predefined SAP HCM and SAP SuccessFactors solutions and programs, which simplify the implementation of certain HCM components, thereby reducing both setup time and cost. These templates support large parts of human capital management and specific tasks in the human resources department. The term template is also used for the central default settings of a company, which can then be distributed to other locations or countries. These templates are created specifically for the company for use only within the corporation. We sell and implement both our own HCM ADVICE templates as well as those of our partners and look forward to helping you select the appropriate solution, whether for initial implementation or the expansion of your human resources system. CATS (Cross Application Time Sheet) is an SAP application which allows a uniform and cross-component time recording for employees. 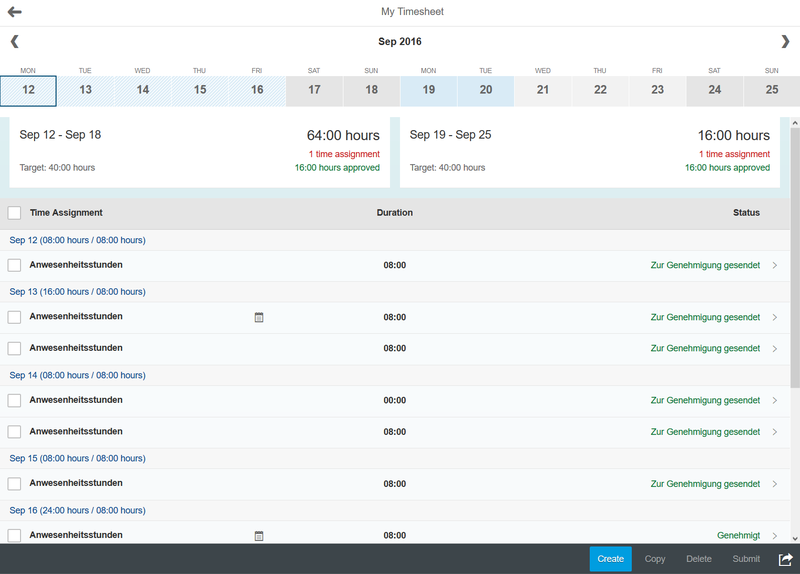 Employees can independently record hours in CATS and book them to a cost centre or projects. The data can be transferred to other SAP ERP components, such as SAP HCM or SAP CO (Controlling) at regular intervals through various standard ways. If companies using CATS also have ESS (Employee Self Services) or MSS (Manager Self Services) in use then CATS can be integrated directly into the self-service solutions and employees can access their time recording through any internet browser. HCM ADVICE already has years of experience in the adaptation and extension of CATS and can support you in optimally implementing your wishes. As an example for our expertise in the field of CATS, we would like to present two extensions that we have implemented and offer our customers as CATS extensions. With the help of our ADVICE ENHANCEMENT „Information on Hours Present“, the hours displayed are reduced if an employee records time to a project or cost centre in CATS, and the employee is thus always able to see how much time per day he still needs to distribute. Furthermore, through a dedicated info type, it is possible to define a percentage division of the hours present in advance. With help from ADVICE “Reporting on Process Orders”, it is now possible for users to transfer the data recorded in CATS to process orders of production planning. Through the transfer of working times from time recording to production planning the log of the working time used always remains up to date and planning can be adjusted according to the reported times. eBooks that fi t with your employees’ busy schedules. Therefore ADVICE has partnered up with Bookboon to provide even better support to our customers thanks to SAP Human Capital Management and SuccessFactors solutions. eBooks which are precise and easy to apply. It therefore equips them with the right soft skills and tools to become more effi cient in their work and help their company succeed. As the eLibrary’s eBooks are so easy and intuitive for employees to use, the Bookboon eLibrary solution has one of the highest usage rates in the digital learning industry with an average organization-wide usage of 40+%. The solution is easy to integrate into SAP Successfactors, your company intranet or your Learning Management System. Scaled to fi t any needs, we ensure that price and solution give the best opportunity for a successful investment in your company’s profitability. Efficient absence management adds value to your management. The systematic recording of absences provides a complete overview throughout the company, allows you to analyse the data and therefore mitigate negative effects by setting the right preventive measures. Through minimization of absences you lower the organizational challenges and the related costs. Absence management offers various options to increase the satisfaction and productivity of your employees to further business success. Despite these benefits, standard SAP doesn’t cover absence management. 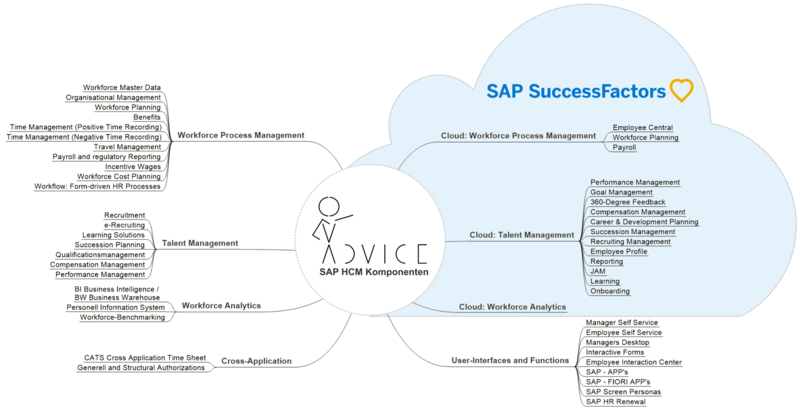 Therefore, HCM ADVICE has developed a solution to integrate absence management in SAP. ADVICE absence management provides a clear interface for your managers, case managers and HR department, which can be used as a standalone, or seamlessly integrated with SAP manager self-services. All processes are based on workflows and operated with the absence level calculation. Even correspondences with your insurance can be managed directly in the cockpit, to report long term sick leaves or anomalies. Each absence case can be viewed in detail, with all relevant documents attached, such as medical certificates. ADVICE absence management assists with the coordination of fist time-, follow up-, return- and level related meetings, to assure all important topics are discussed. It also provides notifications for outstanding discussions and guidelines. The absence chart, as various other reports (such as absence development and absence statistics) help your managers to always stay up to date. 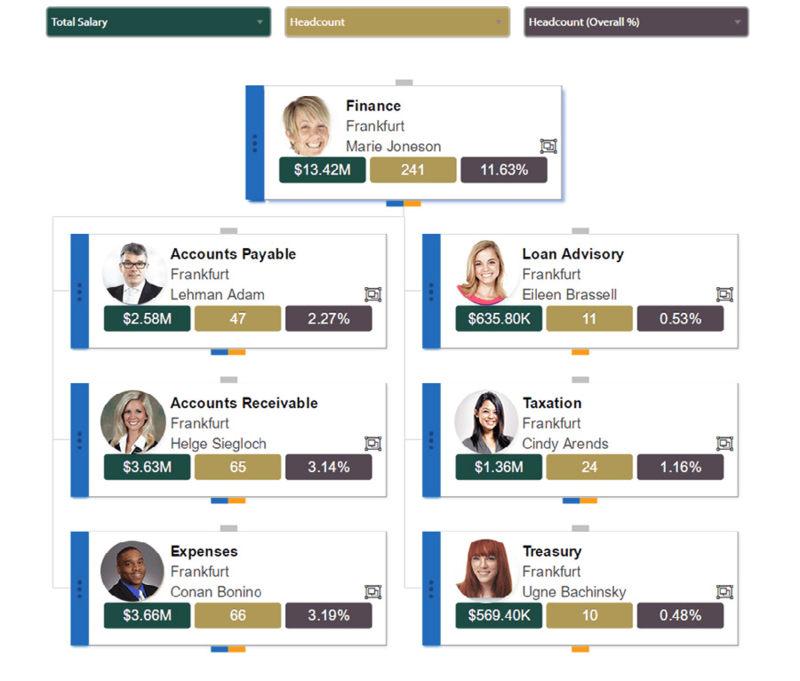 Hanelly is an intuitive organizational chart tool, supplied by NAKISA, which seamlessly integrates with your existing HCM suite (SAP HCM or SAP SuccessFactors). 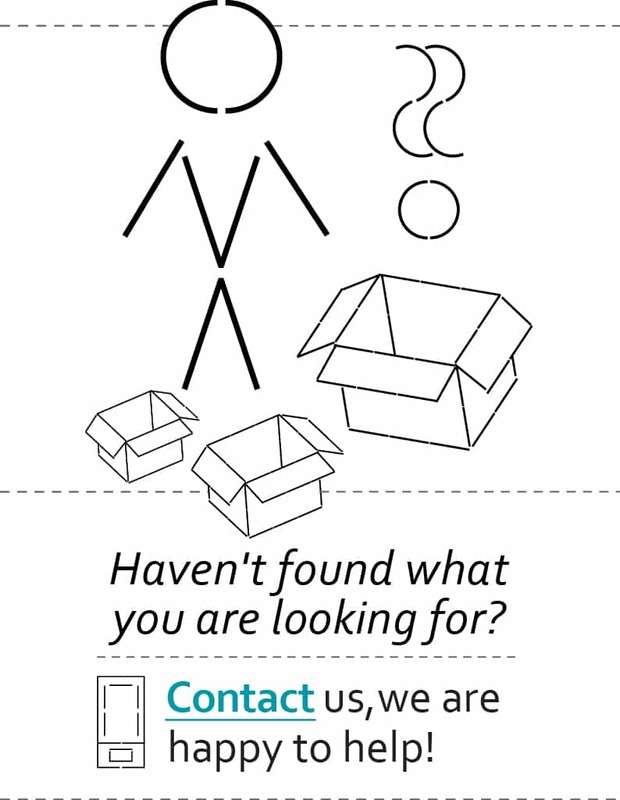 Hanelly stands out with a simple and elegant visualization of your current company situation. 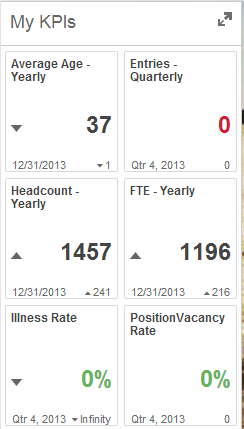 Data can be drawn from your core HCM solution and visualised in real time. 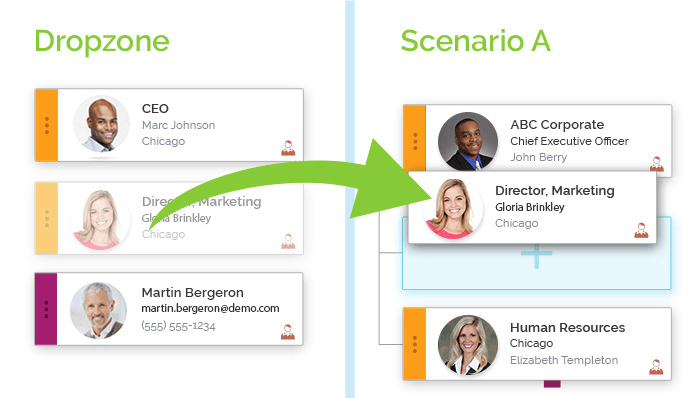 Additionally, Hanelly allows more than just a graphic record of your organizational chart. Multiple dashboards and reports offer different insights to analyse your data, such as visualization of personnel needs, discovering skill gaps, or assessing HR KPIs. Thereof goal and success oriented measurements can be derived to master business challenges. With the integrated scenario builder Hanelly allows the generation and evaluation of possible scenarios, before taking action. The tool also supports collaboration of employees by sharing and reviewing scenarios. Once approved, scenarios can be easily integrated into the core HCM suite. Especially for large structural changes, mergers & acquisitions, or combining multiple HCM suites, Hanelly helps to integrate, model and analyse data simply. That way you can transform statistical data into tangible, visually prepared information, to assist you with critical decisions for your company and ensure long-term business success. Thanks to years of experience and excellent consultants, HCM ADVICE is the ideal partner to implement and integrate Hanelly with your existing HCM suite. Future cost planning is an essential element of every successful company. Budget drafts at all levels are necessary to be well prepared for the coming periods and to be alerted in time if planning is too far removed from reality. SAP HR Cost Planning facilitates managing and planning your HR costs, taking various factors, such as tax or social security costs into consideration. This provides you with a comprehensive view of your company’s AS-IS situation and allows you to compare it to various fictitious scenarios created in SAP HR Cost Planning. That way you can identify optimization potential and prepare in time for restructuring within the company and the resulting changes. HR Cost Planning allows for interfacing with all important SAP modules, such as Financial Accounting, Controlling or Payroll, so that you can retrieve the most current data at all times. For easy implementation, we at HCM ADVICE have created a template, allowing us to implement efficient HR cost planning with a web-based planning interface in your company and add extended functions. Manager can evaluate their current team constellation and create personnel needs with the status “planned” directly in the system themselves. The tool can be accessed by an intuitive, web based interface. Posts with the status “planned” can be created in three simple, predefined steps. The data can be instantly included in planning scenarios and serves as valuable information for budgeting. 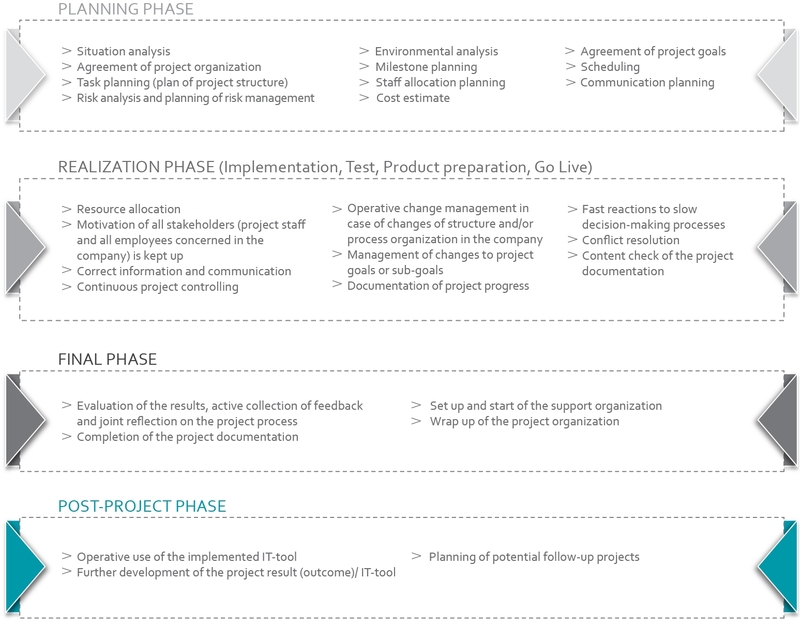 Furthermore, the ADVICE template allows you to start and evaluate multiple planning scenarios at once, in contrast to the standard SAP, where scenarios must be started individually. So, you an offer your employees a central platform for HR Cost Planning, obviate unstructured paper inquiries and enable effective collaboration of managers and those responsible for planning. ERPb@seline Human Resources is based on the basic processes of the module SAP HCM and SAP standard software. 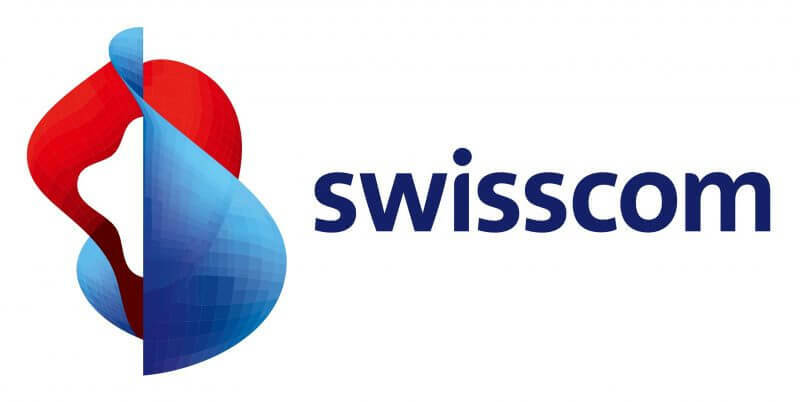 The solution is specifically tailored to the needs of small and medium-sized enterprises in Switzerland. The pre-configured solution ERPb@seline Human Resources ensures a fast and cost-effective entry in human resources management. The solution includes all settings and processes needed for easy salary processing. It focusses on essentials. With its clearly structured menu, employees can select functions directly and work in a process oriented way. This eliminates the time-consuming task of searching complex directory trees. ERPb@seline ensures that employees will quickly familiarize with the new application. To provide a clear overview, but also to support legal reporting, analyses can be generated at the touch of a button. Maintenance of master data, planned posts, jobs etc. Our best references are our satisfied clients. We are proud to serve numerous customers, from medium enterprises to multinational conglomerates. I would like to thank you for your outstanding commitment, also on behalf of Ms. Batzke. The implementation has worked out smoothly; despite the narrow time frame. We are looking forward to good cooperation. Well done! Again, my sincere thanks to you [Mr. Berthold] and Mrs. Klug for your great work and dedicated support. We are looking forward to continuing our good cooperation in the future! Around the clock, around the globe, for projects as well as support – we always know that we can fully rely on the expertise and efforts of HCM ADVICE. Executing projects with HCM ADVICE is a pleasure – very competent and passionate consultants with a high-service dedication, always going the extra-mile for us and making our projects a full success. Thanks to the consultants at HCM ADVICE our system migration worked out smoothly. Thank you very much once more. The cooperation with you worked perfectly. Ramona Birlan, Manager Human Resources, Celebi Ground Services Austria GmbH, Austria. SAP is the leading software company for Enterprise Resource Planning (ERP) solutions. Furthermore, it is one of the biggest software developers worldwide. The software supports businesses and all their divisions, such as HR, finance, logistics and Sales. Their cloud portfolio offers solutions such as SuccessFactors, Concur, Fieldgalss, Hybris, etc. and makes them the leading suppliers of cloud based business software. Together with their implementation partners, SAP is specialized on making the switch to the Cloud, as comfortable as possible. While doing so, providing secure SAP data centres is one of their key objectives. SAP as a software company, only employs few consultants and is focused on sales. Therefore SAP partners with companies such as HCM ADVICE, who specialize on implementation, customizing, support and enhancements to the standard software. The division of tasks between SAP and their partners ensures that customers are provided with highly competent service, to achieve the best possible results. The left half of the graphics includes all modules of the classic On Premise solution. For a better overview, these are sorted into categories of Workforce Processes, Talent Management and Analytics. The On Premise modules are part of the proven SAP R/3 solution, which either run local on company owned hardware, or with an external Outsourcing provider. In the bottom left corner you will find topics that also interact with modules outside from SAP HCM, such as CATS (Cross Application Time-Sheet) and General & structural authorizations. 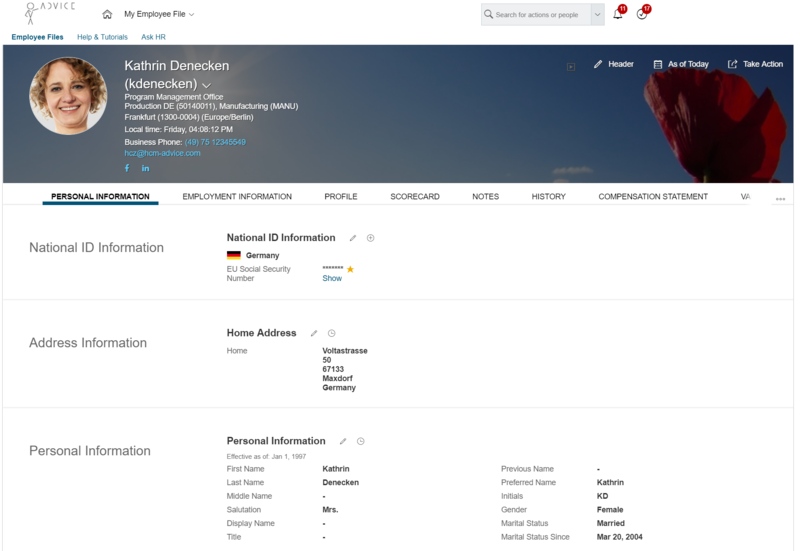 In the lower right half you will find an overview of available user interfaces, such as SAP FIORI, SAP HR Renewal, or Employee and Manager Self Services. These interfaces provide a multitude of possibilities to give SAP a modern and user-friendly design, to further user acceptance. For example, SAP FIORI offers apps for all mobile devices, to ensure your employees and managers can work effectively – wherever they are. The upper right part includes the cloud based offers of SAP SuccessFactors. Unlike On Premise products, Cloud tools run on SAP data centres. Therefore, customers save costs for purchasing and maintenance of hardware. Furthermore, cloud tools are constantly revised and developed, so customers are regularly provided with new functions at no extra cost. As data security overall and HR data especially is an important aspect, SAP handles data centre security with utmost care and priority. 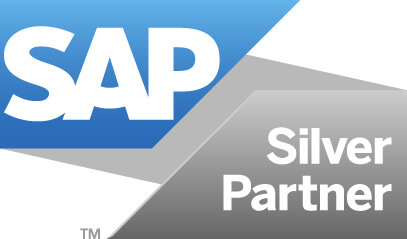 For SAP customers, we recommend a hybrid solution, keeping HR Master Data Management, HR Time Management and Organization Management in the existing SAP OnPremise system and performing Talent Management activities (Recruiting, Onboarding, Career & Development, Learning, Performance & Goals, Compensation, Succession) in SuccessFactors. For analyzing HR data we recommend using Workforce Analytics. Since 1992 and R/3, SAP offers the first software package to run without a mainframe computer. This has lead SAP to become a frontrunner in many countries worldwide. SAP Human Capital Management (SAP HCM) is a crucial part of R/3, which allows users to automatize all aspects of human resources. SAP HCM includes Payroll, Time Management, HR Master Data, Organizational Management, Travel Management and much more. Additionally, with Employee Self Service (ESS) and Manager Self Service (MSS) SAP offers tools which enable employees to complete certain tasks themselves. In 2012 SAP bought an American company SuccessFactors, the leading provider of cloud based talent management solutions, and has since then integrated their own services. This has established SAP as a market leader in cloud based HR solutions. The SuccessFactors Suite includes modules such as Performance & Goals, Onboarding, Learning, provides Analytics tools and Workforce process management. As SuccessFactors is cloud based, customers are provided with quarterly updates that include new functions or improvements of existing features, without extra maintenance. Legal changes are automatically adapted into the suite as well, to ensure customers are always up-to-date. SAP and SAP SuccessFactors attach great importance to the security of their data centres, by taking technical and physical precaution to ensure the safety of customer data. Data centres are guarded at all times, with additional control at access locks. Biometrical scans protect sensitive areas. This ensures that only authorised staff have access. In case of power outage, the centres have back up batteries and diesel engines, which can operate the centres self-sufficiently. The buildings are earthquake-resistant and to prevent worst case scenarios, each data centre has a locally separate back-up centre, that can take over seamlessly for the primary centre. Of course, each back-up centre has the same security standards as the primary centres. On a technical level data centres have multiple fire walls, that prevent unauthorised access and suspicious activities are detected by powerful monitoring systems (Intrusion Detection System / IDS). Data exchange with customers is encrypted and tap-proof, as well as all data back-ups. SAP data centres are regularly inspected by TÜV, KPMG and internal auditors. Centres hold multiple certificates that confirm their security and resilience. The most important, obtained certification standards include ISO 27001, SOC 1 / SSAE 16, SOC 2 and ISO 22301. Employee Profile is a limited variant of Employee Central, which comes with every SuccessFactors installation regardless of the licensed model. In addition to the standard fields in Employee Profile you have the option to define up to 15 additional fields according to your needs. Apart from the Master Data Management, Employee Profile also offers you a simple organizational chart and an employee directory, which you can make available to your employees via the web and mobile apps. With Employee Central Payroll, SAP offers the globally proven SAP Payroll as software-as-a-service in the cloud. SAP combines the reliability of the most well-known payroll solution with the user-friendliness of a cloud solution, thus offering customers the best of both worlds. 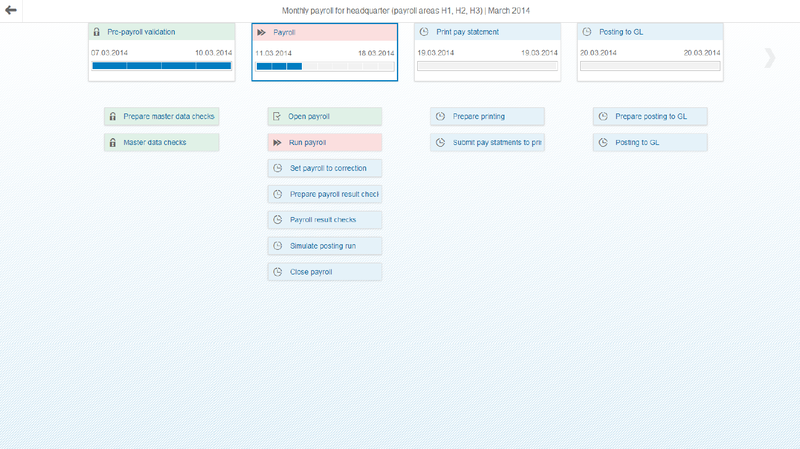 It allows you to do your payroll in more than 40 different countries, in accordance with local regulations and laws. 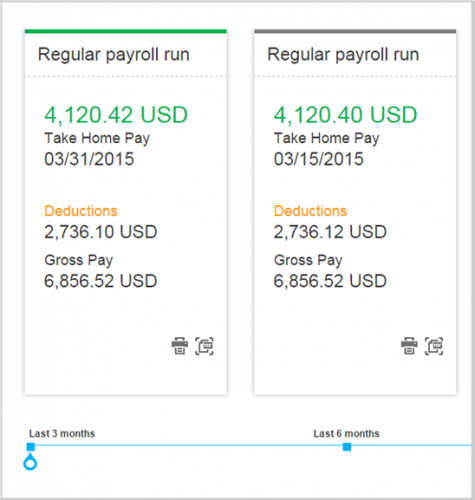 Customers with Payroll in SAP OnPremise will profit from their employees’ experience with the on premise Payroll module, even after switching to a cloud-based environment. We at HCM ADVICE are happy to support you with creating and implementing your Payroll in the cloud to find the optimal solution for your company. SAP Employee Central Service Center is an advanced tool for your internal HR Shared Service Center. It serves as the central point of contact for all employees with HR-related questions. 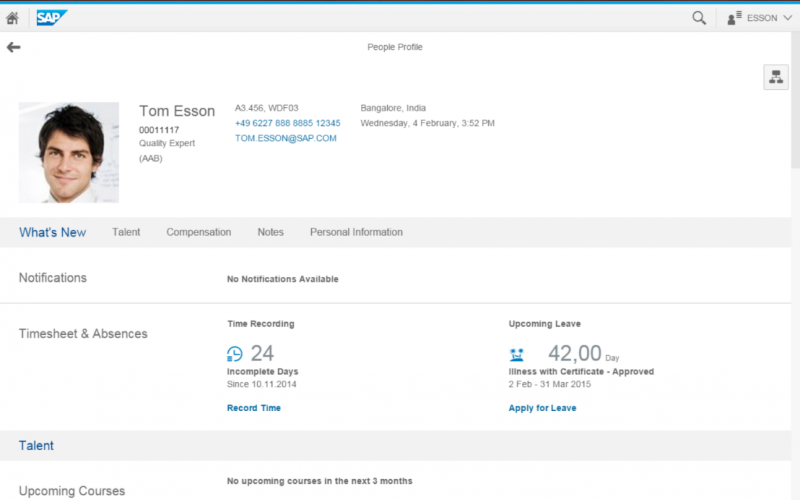 Employees can access the Service Center from anywhere in SuccessFactors. It offers contextually prepared information to answer most questions by resorting directly to your company’s knowledge base. If your employees don’t find the answer in the Service Center’s knowledge base, they can create tickets which are then forwarded to the relevant department. Employees can trace their tickets and are notified as soon as their ticket’s status has changed. Through the Service Center your employees can also start a chat with a personnel administrator to get informal help. SuccessFactors Workforce Planning provides you with the tools for optimizing your HR planning on the basis of your business planning. That way you can counter mid- and long-term talent shortages as well as overcapacities in your company. Workforce Planning allows you to simulate “what if” scenarios in order to better assess the operative and financial consequences of your decisions. Based on these analyses, you can make faster, sounder and more efficient decisions in the future. In addition to SuccessFactors, SAP on-premise systems and many other ERP or HR systems can be integrated with Workforce Planning. SAP JAM gives you many options of displaying and sharing information, such as chats, forums, blogs, wikis, videos, voice memos or traditional documents. SAP JAM supports you in many areas of HR Management, for example, in Recruiting with additional communication, in Onboarding with complementary contents and mentoring groups or in Learning with additional materials and learning groups. Using SAP JAM, you support your teams with organizing and carrying out projects and making efficient decisions. You promote communication and the exchange of information, thereby making your employees’ implicit knowledge explicit and useful for your company. SuccessFactors Recruiting provides your company with a tool which optimally supports all steps in the recruiting process. 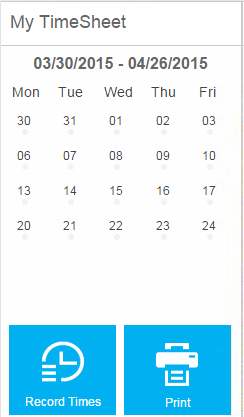 You can create requirement profiles for open positions, structure the application process accordingly, create actual job offers and post them directly from SuccessFactors to job platforms, get your applications from different sources (social media, staff consultants, online-applications, …) and manage job interviews with your integrated outlook calendar. Using state-of-the-art technology, the integrated marketing platform allows for employer branding to attract talented candidates to your company. That way you also capture the interest of passive candidates and attract them to your company and can plan extensive recruitment campaigns to attract new talents. Using comprehensive assessments, you can at all times monitor which channels and strategies yield the best results and thus optimally use your recruiting budget. In the modern working world, staff retention and the planning of efficient staff assignments start before the actual hiring. It is crucial to integrate new employees into your company, already before and of course after they are hired. The SuccessFactors module Onboarding supports you in this process, providing you with all the tools necessary to reach your goal. SuccessFactors Onboarding allows you to implement an ongoing onboarding process, including your HR department, the managers in charge and the new employee. Already before starting work, your new employee can access relevant information and establish contact with your company’s key figures. 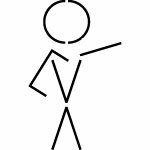 That way a major part of the formalities and the paperwork can be completed before the new employee starts work and he/she can introduce him/herself to his/her colleagues, which makes the whole process of joining a new company easier. When starting work, all necessary tools are already available for the employee having attended many onboarding workshops and his/her enrollment plan (possible integrated with SuccessFactors Learning) has already been determined. This results in more productive employees that can get started quickly and identify with company goals (possible integrated with Performance & Goals). Using SF Onboarding, you can avoid employees’ suddenly changing their minds, shortly before or after they start work. In addition, rapid deployment of new staff saves you a lot of money. 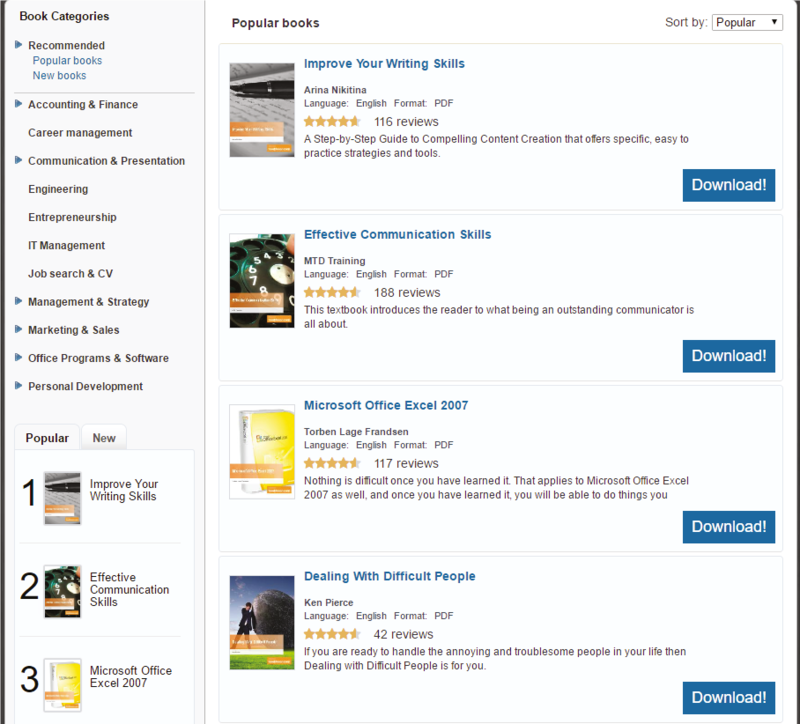 Our partner Bookboon, the leading ebook provider in education and training, offers a comprehensive ebook library, which you can make available to your employees in SuccessFactors, integrated with other HR platforms or as a stand-alone solution. Bookboon’s online library gives you access to over 700 high-quality books, which your employees can easily access, read and apply to strengthen their soft skills. Thanks to the library’s intuitive usability, it has a utilization rate of over 40%. SuccessFactors Performance & Goals helps you make your company a success. This happens by increasing your employees’ commitment, productivity and efficiency. SuccessFactors allows you to align your employees’ goals with those of your company and to create a culture that encourages on-going and objective evaluations. 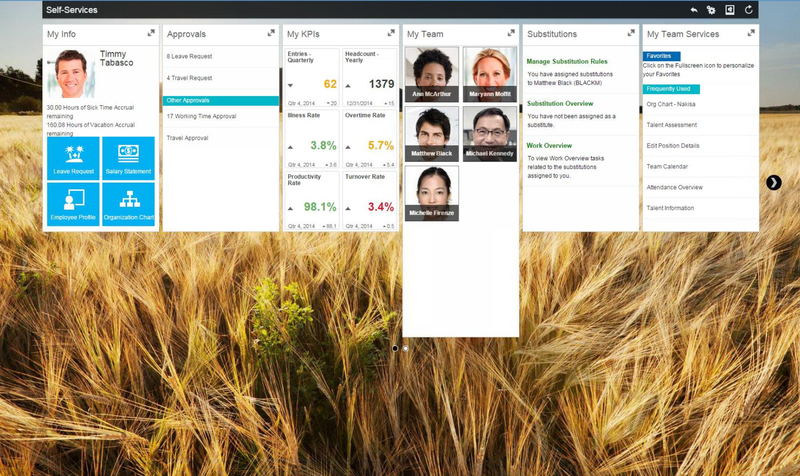 SuccessFactors Goal Management supports you in defining company goals and cascading them to individual employees. That way employees get a better understanding of how their work affects the company as a whole. As a result they identify with the company more strongly, which directly affects their motivation. For defining their goals, managers can resort to a comprehensive goal library created according to SMART criteria (Specific, Measurable, Attainable, Realistic, Timely) Managers can create their own goals as well, supported by the SMART wizard to make sure they fulfill all SMART criteria. Monitoring your goals via dashboards and evaluations allows you to take timely measures if goal achievement is jeopardized. 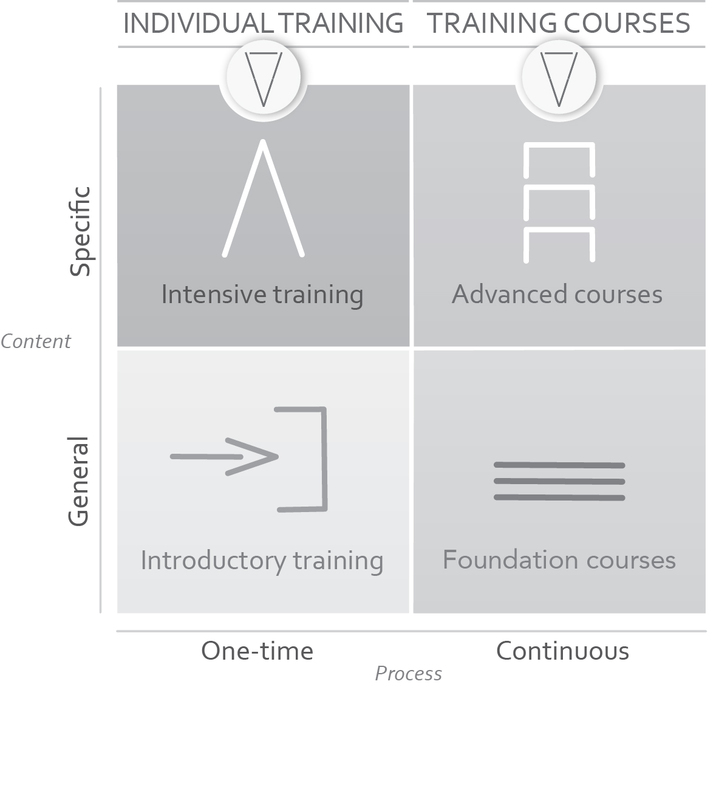 You can create interfaces between defined goals and trainings in SuccessFactors Learning to support your employees in achieving their goals. SuccessFactors Performance Management provides you with modern tools for ongoing evaluation. Ongoing feedback lets your employees know where they stand and how they can improve. Meetings with employees are supported by workflows with the people involved submitting evaluations. Scheduling and having personal meetings is also supported by Performance & Goals. This happens via prepared text modules, an immediate scan checking the suitability of your own texts and an easy user interface allowing you to make entries directly into the system while the meeting is still going on. To avoid inconsistencies when it comes to different superiors’ evaluations, Performance & Goals provides an effective calibration tool allowing you to compare different evaluations and make them more objective. Via different matrices, you can view your employees’ classification into low and high performers and determine both the likelihood of resignations and their effects. If you are also using Compensation Management, you can make premium payments conditional on goal achievement, promoting a success-oriented corporate culture. 360-degree-feedback is a valuable complement to traditional feedback processes via personal meetings. While traditional feedback processes often only reflect the views of the employee’s direct manager, 360-degree-feedback involves everyone who is in contact with the employee being evaluated. This includes superiors and colleagues but also suppliers, partners and customers. These different perspectives can give you and your employees a better more comprehensive view, which can then be used for defining goals and creating trainings. Your company’s greatest talents will always strive to advance their careers. Via SuccessFactors Career Planning you can encourage your employees to realize their full potential, displaying career paths they could take. Based on their competencies employees can determine suitable positions and figure out which competencies they still need to develop for the next step in their career. 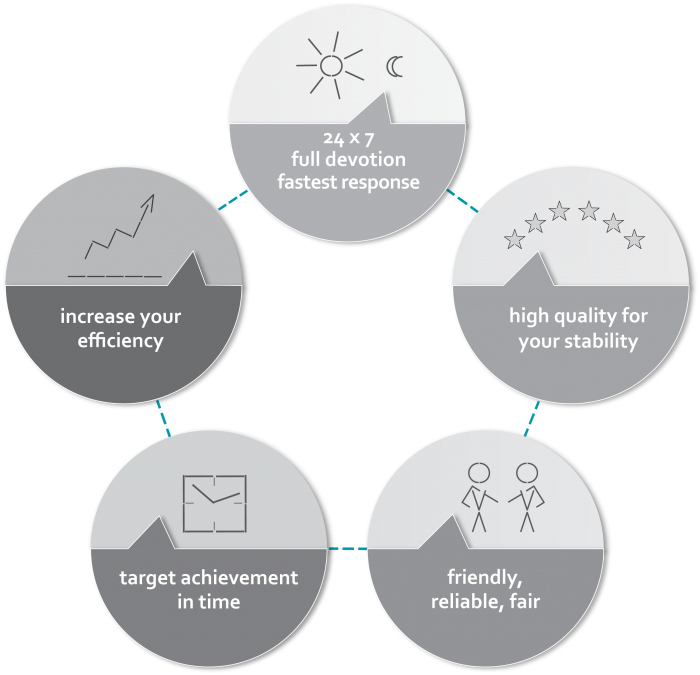 You create development goals for your employees integrating company needs and employee preferences to ensure optimal further development. Apart from the goals they co-defined with their manager, employees can also set their own goals, supposed to facilitate employees’ reaching their overall career goals. The defined goals can be linked to courses in SuccessFactors Learning so that your employees can take concrete steps towards reaching their goals. Due to demographic changes, it is becoming increasingly difficult to have employees with the right qualifications available at the right moment. SuccessFactors Succession Management supports you in promoting and developing employee potential in a targeted way so as to prevent shortages in qualified employees. Via Succession Management you determine the qualifications necessary for key positions in your company, search for suitable internal successors and promote suitable candidates to prepare them for the new tasks. You add suitable employees to talent pools and then promote them with special offers to optimally develop your future executives. The career paths and positions requirements defined in Career & Development allow you to optimize your succession management. With your employees you figure out a plan paving their way to the position they desire. Via a special successions organization chart you can view all developments along the organizational structure at all times. SuccessFactors Analytics allows you to make all important business decisions based on strong facts. You get quick and sound answers to all relevant HR questions and using detailed analyses, find solutions to complex problems. With SuccessFactors Analytics all that changes as it provides you with complex analyses in real time. Using tools and prefabricated reports, developed on the basis of many years’ experience analyzing HR data, you quickly gain an insight into your data. Using Drag&Drop allows you to move and arrange data. Once you have an overview, you can then use Drill-Down techniques to jump to detailed analyses in order to analyze and examine critical areas more thoroughly. Integrated benchmarking allows you to see at all times how your company’s performs in comparison with competitors in the area. Workforce Analytics also provides you with more than 2000 predefined Key Performance Indicators (KPIs) so that you can get a quick overview of your company’s status. All data can be presented graphically. You can also save the most important results to your homepage and when you get online, immediately view your most current and important data. And all that without a single click. Based on these analyses and results, you create action plans and goals in Performance & Goals, post new job ads in Recruiting, plan career paths in Succession Management or identify required trainings for SuccessFactors Learning. Integrating your data with data from Financial Accounting and CRM gives you an even more comprehensive insight into your company. 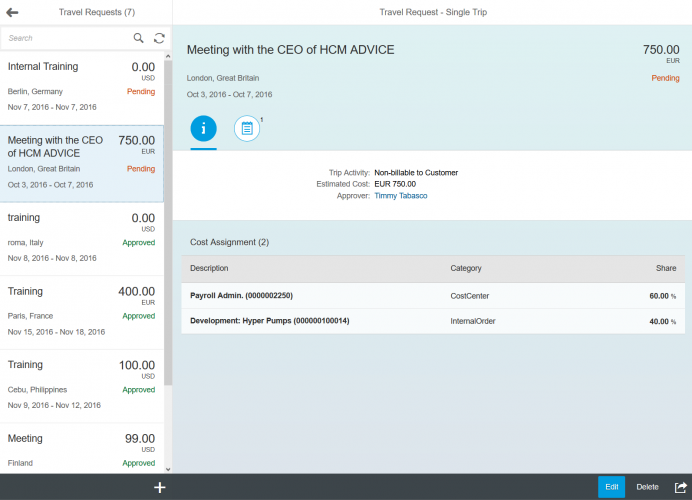 While via SuccessFactors Employee Central and Employee Central Payroll the entire HR management environment can be represented as its own system in the cloud, many companies have already invested a lot of money in existing OnPremise solutions by SAP or other providers and want to keep using them. For you to protect these investments and use them with SuccessFactors, SAP offers numerous options to integrate them with SAP systems and also solutions from other providers. The easiest way to do this involves the exchange of XML or CSV files between the systems, using the SuccessFactors Integration Center. A more in-depth integration with SuccessFactors is possible with special middleware (like a data hub), such as SAP Cloud Platform Integration (SAP CPI, formerly SAP Hana Cloud Integration, SAP HCI), SAP Process Integration (SAP PI) or Dell Boomi. Using middleware enables integration in real time, while with an integration via data transfer, data needs to be synchronized cyclically. For both options SAP offers numerous prefabricated solutions as well as Rapid Deployment Solutions (RDS), which can be easily integrated into already existing systems. Using modern web standards and open file formats for both integration variants allows for integrating both SAP systems and systems from other providers with SAP cloud solutions. In a hybrid environment where one system is responsible for central data storage and management (usually your OnPremise system) reliable integration and data synchronizing are crucial. We at HCM ADVICE are happy to support you with the implementation of your integration project, assisting you at any stage of your project. You are already using SAP HR/HCM? When using different systems, it is important to make the experience user-friendly and as smooth as possible. Therefore SAP has been gradually adapting all interfaces to the standardized SAP FIORI design guidelines. Single-Sign-On and Deep Linking integrates SuccessFactors and the SAP HCM OnPremise ESS/MSS and HR Renewal interfaces to such an extent that your employees won’t realize that different systems are operating in the background. SAP Organizational Management facilitates producing, collecting and managing all data pertaining to the organizational structure in a single, centralized location. Other modules use this database for numerous functions, such as defining workflows, assigning roles and permissions in the organization or assigning superiors. SAP Organizational Management prevents redundant data storage in other SAP modules’ organizational charts. In SAP Organizational Management, you manage your organizational units, positions and people, assign management positions and transfer persons from one organizational unit to another. In SAP Organizational Management, for planning and optimizing further restructuring, you can create and analyze various notional organizational structures in addition to the actual organizational structure. Integrating SAP Organizational Management with SAP SuccessFactors allows you to provide your employees with a graphic of the organizational structure. SAP HR master data management allows you to collect all relevant HR data in a centralized location and provide it to other modules. You complete all HR related workflows, such as an employee’s marriage or salary adjustments, and analyze the data according to your specific needs. International companies will benefit from the many country-specific versions provided by SAP, which allow them to maintain data relating to a country’s legal provisions in the designated data fields. With HR master data management, you can manage your international employees and expats as well as staff deployment activities. The integration with payroll ensures that you run expatriate payrolls correctly and prevents the double counting of taxes and other duties. Integrating HR Master Data management with SAP Employee Self Services (SAP ESS) allows you to delegate various HR administration tasks, such as address changes, directly to your employees, unburdening your HR department. SAP SuccessFactors allows you to make master data available to your employees so that they can view and analyze it. You also have the option of selecting which data should be available according to the employee’s positions. Being able to access data at all times, employees and especially managers can thus make better decisions. As an alternative or addition to HR master data management, SAP also offers the entirely cloud-based SuccessFactors module Employee Central. 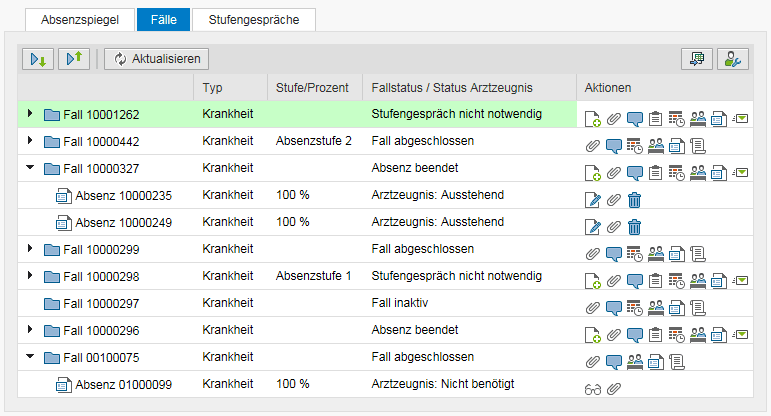 SAP HCM HR master data with SAP FIORI interface. Future cost planning is an essential element of every successful company. Budget drafts at all levels of the company are necessary to be well prepared for the coming periods and to be alerted in time if planning is too far removed from reality. For easy implementation of SAP HR Cost Planning, we at HCM ADVICE have created a template, allowing us to implement efficient HR cost planning with a web-based planning interface in your company. As a cloud-based alternative to HR Cost Planning, SAP offers the SuccessFactors module Workforce Analytics & Planning, which can be integrated in your SAP HCM system via standardized interfaces. SAP Shift Planning enables your company to carry out work scheduling that takes into account your employees’ qualifications (SAP Qualification Management). In addition, you can manage on-call duty arrangements and assign employees to specific task forces and working groups, such as relieve and repair crews. SAP Shift Planning allows you to both analyze, manage and optimize current workforce deployment and monitor as well as simulate future HR needs so that you are well prepared to react to changes. You can both analyze existing qualifications revealing your employees’ hidden potential and point out in time that additional qualifications need to be obtained, either through further trainings (SAP Learning Solution, SAP SuccessFactors Learning) or recruiting (SAP Recruiting, SAP SuccessFactors Recruiting). 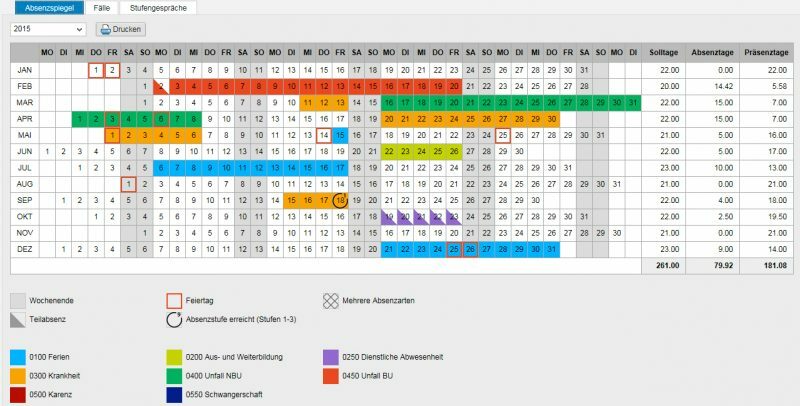 If shift planning is integrated in SAP Employee Self Services (SAP ESS), your employees can view their current schedules and request changes based on their personal availability and preferences, which will then be sent to the responsible manager for approval. Eliminating the need for many time-consuming interviews and discussions, this automatism greatly unburdens managers and shift leaders. 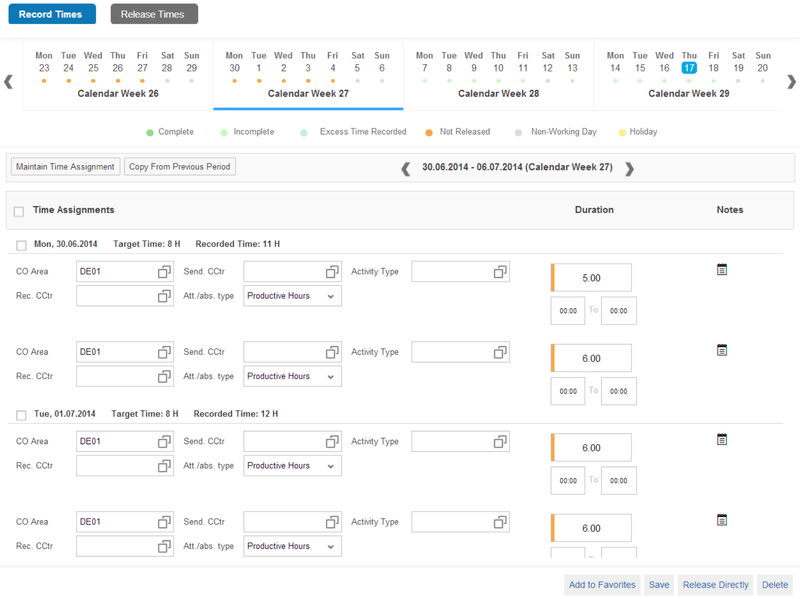 SAP Time Management includes all the functions your company needs to record and analyze working time. 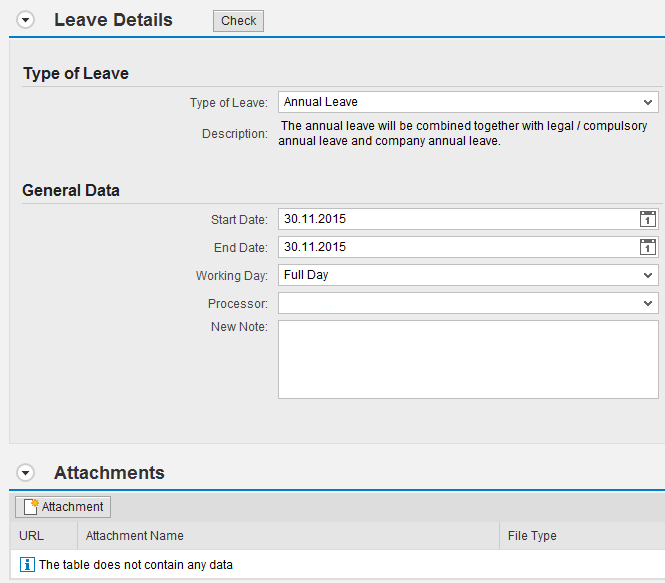 In addition, you can manage employee attendances and absences and make the data available to other modules, especially SAP Payroll. SAP Time Management supports both positive (recording all attendances and absences) and negative (recording deviations from the work schedule) time management and enables you to create shift schedules based on your specific needs and according to legal regulations. Your employees have many options for recording their times, such as standardized integration in terminal systems, SAP Employee Self Services (SAP ESS) and SAP Cross Application Time Sheet (SAP CATS) or SAP FIORI apps on the smartphone. SAP Time Evaluation automatically generates increases and reductions, making all relevant data directly available to SAP Payroll and other modules. In SAP Time Management, you can create different absence and attendance types for your employees, such as vacation or professional development time, and automatically assign them to eligible employees. Employees can enter their leave requests directly into the system (or using SAP ESS or mobile SAP FIORI apps) and send to their superiors for approval. Integration into SAP ESS means that your employees have the option of independently viewing their time statements or enter the already mentioned leave requests. With SAP Solution Extension partner Workforce Software, SAP offers SAP Time and Attendance Management, a cloud time management system, which can be seamlessly integrated into both SAP HCM and SuccessFactors Employee Central and Employee Central Payroll. Today corporate travel is part of most companies’ daily business. Since business trips can be expensive, companies strive to minimize travel expenses, especially in economically strained times. SAP’s comprehensive travel management solution supports you when planning, processing and monitoring business trips. SAP Travel Management enables your company to manage all the processes involved in handling trips, including requesting and planning the trip, approval prior to the trip, cost approval and reimbursement of expenses. That way travel expenses can be reimbursed to the employees automatically via SAP Payroll or Financial Accounting. As is the case with many SAP components, there are many country-specific versions of SAP Travel Management, mapping national characteristics relating to expenses or daily allowances, for example, in SAP in conformity with the law. Integration into SAP Employee Self Services (SAP ESS) or SAP FIORI apps means that your employees can independently request trips and send to managers for approval, book flights, hotels or rental cars and record travel expenses. In addition to SAP Travel Management, SAP also offers Concur, the global market leader in cloud-based travel management. Concur can be integrated with other SAP modules and used on its own and thus is also of use to companies without SAP system. The SAP Benefits component allows you to create and manage customized service packages for your employees. After creating a selection of benefits and organizing them in different packages, you then assign these packages to employees and, using a comprehensive set of integrated analysis tools, can monitor the use and costs of the packages at all times. Integration into SAP Employee Self Services (SAP ESS) means that your employees can view the different packages and independently enroll in and disenroll from them, unburdening your HR department. One of the most important parts of human resources is the payroll department. Because of the many legal regulations and various special cases occurring among employees, payroll can be very complex. Combined with other HR modules, SAP Payroll enables you to efficiently manage all payroll-related tasks. Already its standard version allows you to take care of nearly all your company’s requirements, such as off-cycle payroll, analyzing time data, seizures or year-end jobs in a highly automated manner. HCM ADVICE can adapt these standard solutions to your specific requirements enabling you to view and manage any conceivable payroll scenario. SAP Payroll is available in many country-specific versions, which include local legal regulations and are adapted to legal changes yearly. This keeps you up to date on legislation, ensuring correct payroll accounting. Integration with HR master data ensures that it is smoothly integrated into your calculations. When, for example, a child is born, the correct allowances are generated automatically, without the need for manual HR intervention. Integration with HR Time Management means that you can run payroll for your employees, accurate to the hour and including hours, allowances, absences and periods of sickness. SAP Payroll is also integrated with Finance Management, allowing for seamless payment processing. If your company is also using SAP Employee Self Services (SAP ESS), you use this portal to make salary statements and other important information available to your employees. Ongoing payroll data storage ensures high data quality. In case revisions are necessary, the needed data is readily available at all times. 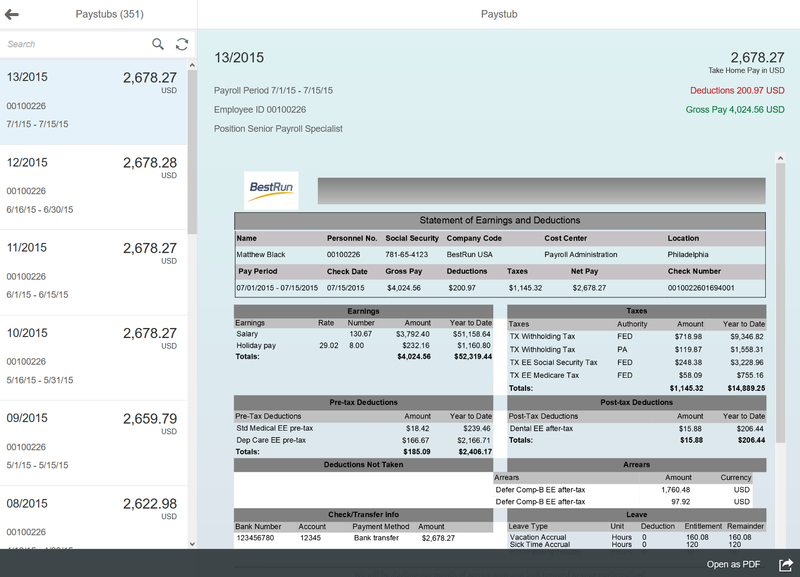 The new Payroll Control Center (SAP PCC) allows you to manage SAP Payroll via an innovative web interface supporting you with initial data integrity checks, workflow-oriented payroll graphs and many other tools. PCC allows you to manage payroll both via your OnPremise SAP HCM and as cloud-based service in data centers hosted by SAP. 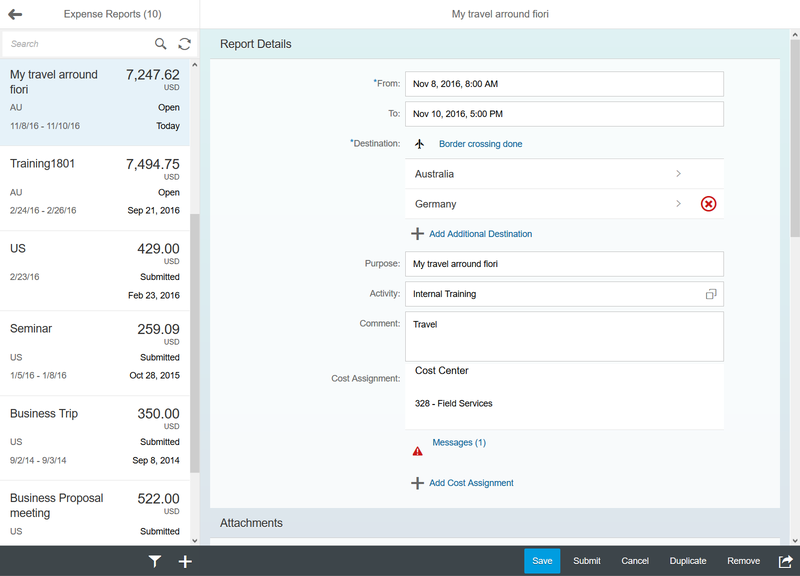 Integration with SuccessFactors Employee Central and the Payroll Control Center means that you can manage payroll directly in SucccessFactors and administer all payroll data in the Employee Central. The SAP Incentive Wages component enables you to pay your employees based on their performance. SAP supports the following forms of payment: time wage (employees are paid on the basis of the time they have worked), premium wage (a performance-related, variable premium is added to the standard wage), and piecework wage (employees are paid for each unit produced or action performed). Incentive wages can be used for both individual employees and groups, for example a production line. 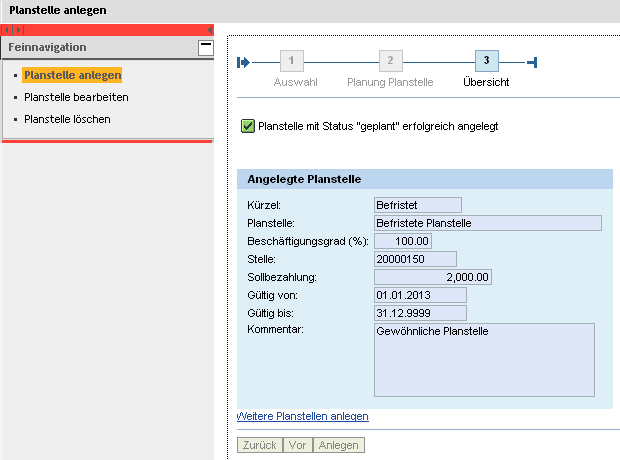 In order to collect the data needed for calculating the incentive wage, it is necessary to create an interface between the SAP Logistic module and the PDC (Plant Data Collection) terminals. SAP Incentive Wages is integrated into the SAP Payroll and Time Management components, which can use Incentive Wages data to determine various balances and employee payments. Here we would like to present you with the traditional SAP OnPremise (meaning that the system uses owned or rented hardware) Talent Management solutions, such as E-Recruiting, Qualification Management or Performance Management. You can find out more about SAP’s world leading cloud-based SAP Talent Management solutions under Cloud Workforce Processes, Cloud Talent Management & Cloud Analytics. SAP E-Recruiting offers your company all the tools necessary for selecting, placing, developing and retaining new employees. Entirely web-based, E-Recruiting can be accessed at any time. SAP E-Recruiting allows you to manage applications, keep in touch with candidates and build talent pools to choose possible employees from. Talent pools also ensure that potential successors for key positions are available, thus helping to keep your company running smoothly. SAP E-Recruiting offers you an online job portal, which you can integrate into your homepage to facilitate future employees’ application process. Application data is transferred to SAP and made available to those responsible. They can automatically screen applications and use the tool to directly contact suitable applicants. If your company is also using SAP Organizational Management, vacant positions listed there can be directly added to the recruiting process. The integration with the SAP HR Administration allows you, in case an applicant gets hired, to add applicant data directly to Employee Master Data Management, without the need for entering the same data twice. If your company is using SAP Employee Self Services, you can make an in-house internal application portal available to your employees where they can apply for positions and view their application’s status at all times. SAP E-Recruiting is based on traditional SAP Recruiting which is similar in scope but not web-based. HCM ADVICE also provides support for all questions related to traditional SAP Recruiting. 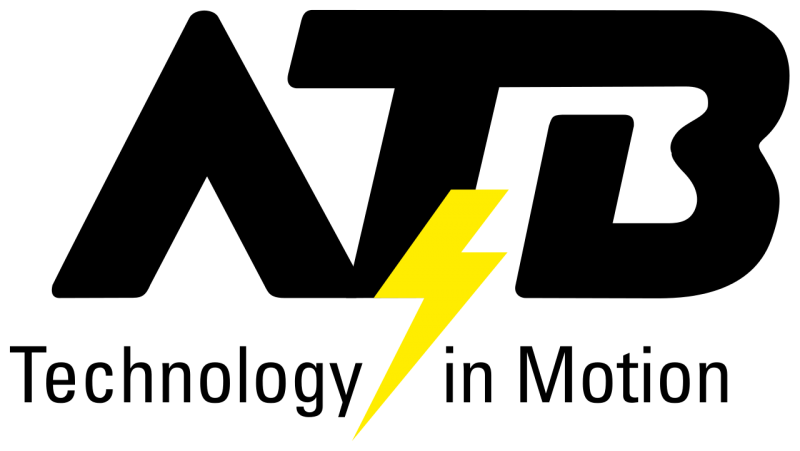 As an alternative to SAP E-Recruiting, SAP also offers SuccessFactors’ powerful Recruiting solution, which is entirely cloud-based and can be integrated with your SAP HCM system via standard interfaces. SAP Event Management supports our company planning, organizing and managing any kind of event, such as trainings, exhibitions or parties. SAP Event Management helps you with planning events, reserving the resources needed, keeping track of the costs and signing employees up for dates. After determining the prerequisites for participation, you can automatically check whether participants are keeping to these conditions. You automatically generate attendance lists, hand out participation confirmations after the event and collect participants’ feedback. SAP Event Management is integrated with many other modules. 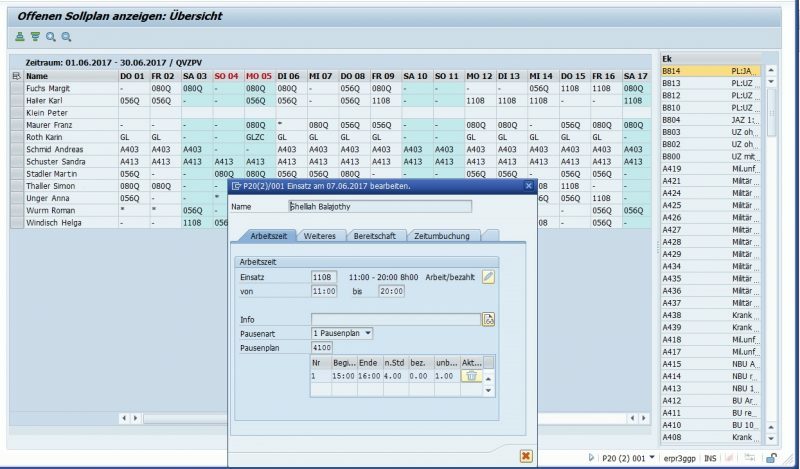 For example, it is possible to transfer attendances directly into HR Time Management or request needed resources directly from Materials Management. The integration with SAP Employee Self Services makes it possible for your employees to independently view and register for current events. In addition, they can view, change or cancel existing registrations. Today professional development and employees’ life-long learning are key to a company’s success. To meet these challenges, SAP offers the Learning Solution component providing support with any tasks related to learning management. SAP Learning Solution (SAP LSO) is based on SAP Event Management, but offers also online trainings and e-learning in addition to face-to-face trainings. SAP Learning Solution offers a learning management system to create and manage trainings, a content management system to store and manage learning content and tests and a learning portal allowing your employees to access all contents. On the learning portal, employees can search the trainings that are being offered and register for them. If your company is using SAP Employee Self Services, it can be seamlessly integrated with the learning portal. Via integration with the SAP Qualification Management, employees can compare their qualifications with those of the positions being offered and thus chose and register for relevant trainings. As a cloud-based alternative to SAP Learning Solution, SAP also offers SuccessFactors’ powerful Learning module, which can be integrated with your SAP HCM system via standard interfaces. SAP Succession Planning allows you to create job profiles and succession plans, ensuring that critical key positions can be staffed at all times. Succession Planning is based on the concept of jobs and positions and only realizes its added value in combination with SAP Organizational Management, which it complements. If new positions are created in Organizational Management, Succession Planning facilitates a timely response, thus ensuring that you find the ideal candidate. In case you cannot find a suitable internal candidate, you can use SAP E-Recruiting or SuccessFactors to find external candidates. Via integration with SAP Qualification Management, you can match positions with potential successors in regard to qualification requirements and profiles and assign employees to trainings in SAP Learning Solution in order for them to develop the necessary qualifications in time. SAP Qualification Management facilitates creating and managing a qualifications catalog suitable for your company. Individual qualifications can be fine-tuned by means of proficiency scales, thus allowing you to define specific levels of mastery. Qualifications Management allows you to look for employees with specific qualifications, compare different employees and thus find the ideal candidate for a specific task. After creating qualification profiles in Organizational Management, you can then match them with employees’ qualifications or search for a suitable candidate for the position. Via trainings in Learning Solution, newly acquired qualifications can be automatically assigned to employees. In Shift Planning, you can use qualifications to assign employees task or shifts that match their qualifications. In E-Recruiting, you can evaluate candidates based on the qualifications required for the position to be filled. SAP Compensation Management allows you to plan and manage your remuneration strategy, thus staying ahead of the competition when it comes to finding the best employees. In combination with SAP Organizational Management, SAP Compensation Management allows you create budgets for your organizational units; those responsible can then make payments to employees. Compensation Management allows you to analyze your compensation strategy and compare it with external benchmark data to make sure that you stay ahead of the competition. In addition, Compensation Management allows you to manage employee participation and to assign dividends either manually or automatically. Via the integration with HR Master Data, payments are directly transferred from an employee’s compensation plan and automatically taken into account by Payroll. SAP Employee Self Services makes it possible for your employees to independently view their compensation plans. In addition, employees can choose possible participation options according to criteria defined by themselves. 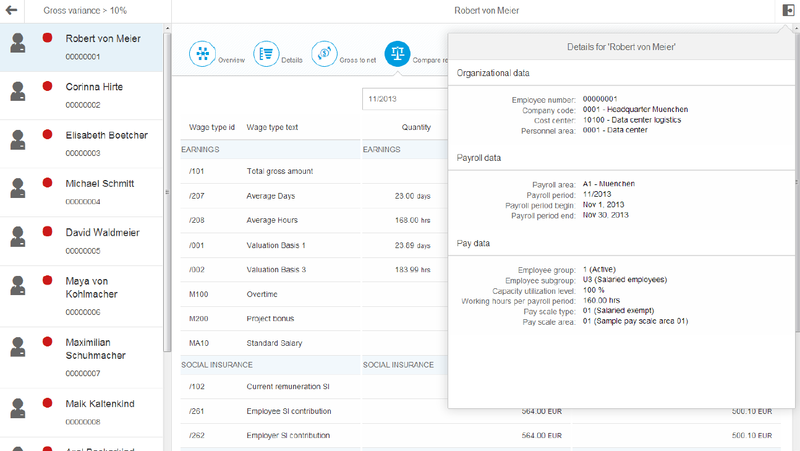 As a powerful, cloud-based alternative to Compensation Management, SAP also offers the SuccessFactors module Compensation Management for planning and managing compensation plans. SAP Performance Management allows you to define company goals and cascade them to specific organizational units and employees. By implementing a transparent goal management process that aligns your employees with company goals, you are promoting the long-term success of your company. Managers can evaluate employees and their goal achievement as well as set goals for future periods, thus promoting your employees’ further development. If you are also using SAP Learning Solution, you can plan trainings supporting employees in achieving their goals. Based on goal achievement, employees can be paid based on their performance using Compensation Management, for example they can be paid a bonus that is then directly taken into account by Payroll. SAP Performance Management makes different kinds of evaluations available, such as self-evaluations, peer evaluations and 360-degree-assessments. These evaluations are also taken into account when it comes to the regular employee evaluations. As an alternative to the traditional Performance Management, SAP also offers SuccessFactors’ Performance & Goals, a powerful, cloud-based tool for optimizing employee performance. SAP FIORI is an ever-expanding apps collection, provided by SAP for coping with numerous tasks in the SAP system. 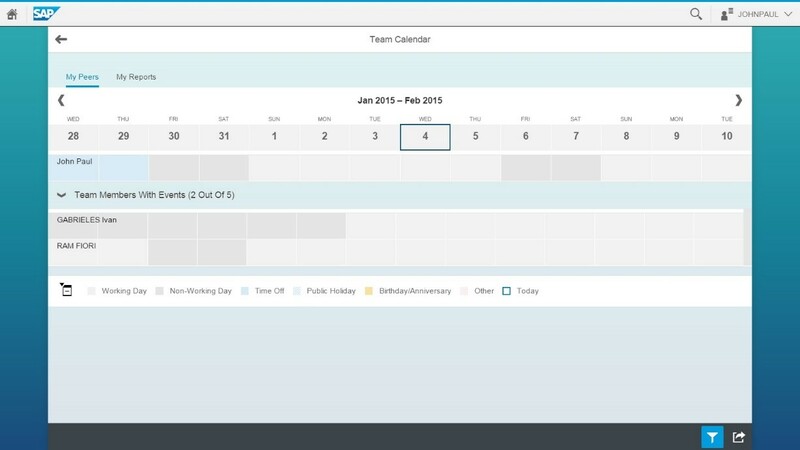 With their advanced design, FIORI Apps emphasize user-friendliness and high productivity. 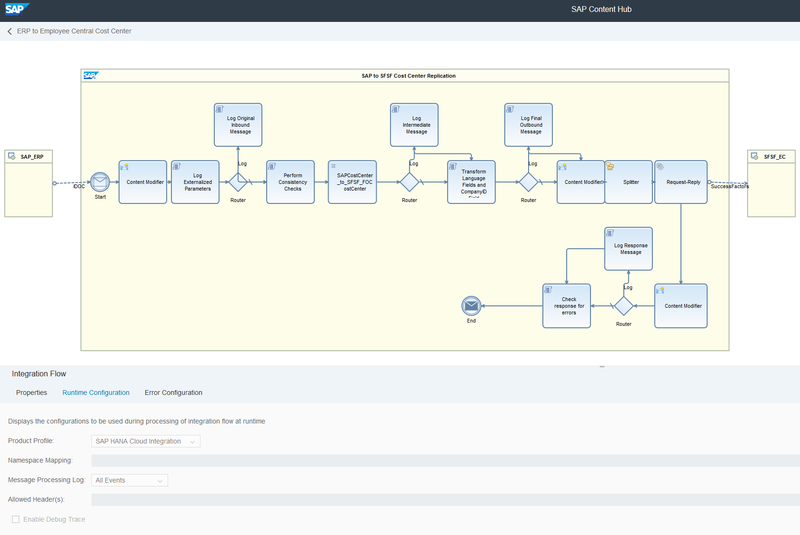 The FIORI interface is also in the process of becoming the new SAP standard interface. That way, regardless of their technological basis, all SAP programs share the same advanced Look&Feel facilitating your employees’ introduction to new SAP programs. Your employees can launch SAP FIORI on any browser and thanks to responsive design (adapting to the output device) also use it efficiently on their smartphone or tablet. That way they can complete tasks from anywhere and anytime. The apps’ user-friendly design and the easy access to FIORI will speed up your processes and as a result, directly reduce your costs. As entry point to SAP FIORI apps, each employee needs the FIORI launchpad, where all the apps an employee needs are clearly arranged. It allows you to launch any app and complete your tasks with a few clicks. Apart from the FIORI apps provided by SAP, you also have the option of adapting existing apps to your needs or developing completely new apps fitting your individual requirements. Our consultants at HCM ADVICE are happy to plan and implement a SAP FIORI apps project for you and/or develop customized apps fitting your specific requirements. With SAP Employee Self Services (ESS) and Manager Self Services (MSS), your employees can perform numerous HR management processes on their own, significantly unburdening your HR department. SAP ESS/MSS are web-based technologies, allowing our employees and managers to access the offered services from anywhere. Employee Self Services focuses on activities that every employee can do, while the Manager Self Services focus on manager activities. SAP Employee Self Services and Manager Self Services offer your company many possibilities to unburden your HR department. You can choose the options most suitable for your company and make them available to your managers and employees. As an alternative to the traditional ESS/MSS applications, SAP offers the SAP FIORI-based apps. Like ESS/MSS, these apps allow you to delegate a wide range of activities to your employees and managers. Thanks to their advanced design, they are extremely user-friendly and available on all devices. There is also the option to combine FIORI and ESS/MSS, by integrating the FIORI apps into the Employee Self Services and getting the best out of both technologies. With SAP HR Renewal, the Self Service applications get a new, attractive user interface, thereby becoming more user-friendly and less prone to error. We would like to show you in detail what options you have when integrating the various SAP components and what activities you can make available to your employees. If your employees are authorized, they can use ESS and MSS to view their personal data (for example address, bank details, or communications data) and perform updates, which your managers can then approve or discard. Combined with HR Time Management, ESS/MSS allows your employees to record working times online, submit leave requests and get an overview of working times and absence quotas. Your managers can either approve or deny the leave requests and also view team absences and attendances. 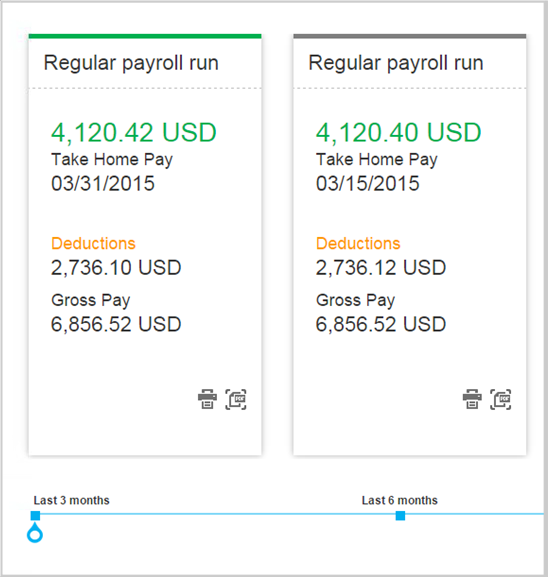 In Payroll and Compensation Management, there is an option to display employees’ salary statements directly online and let your employees select their individual compensation plan from those available. 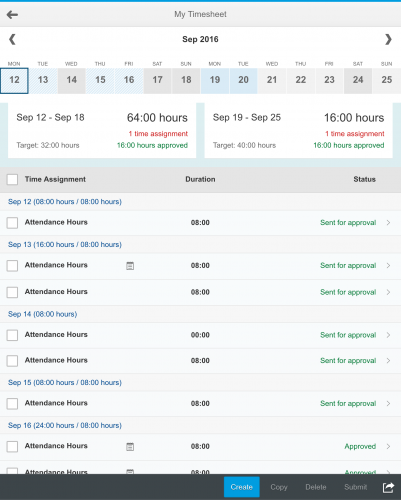 SAP Event Management, where employees can sign up for events, and SAP Learning Solution, where they can access learning materials directly online, can also be integrated with ESS/MSS. The relevant manager can check these registrations and if necessary, reject or change them. Integrating the SAP E-Recruiting solution with the Self Services offers your employees an internal job portal, where they can directly apply for open positions. Managers can both manage the job postings and contact candidates. Shift Planning tasks can also be integrated with ESS/MSS. Employees can list their preferred working times which are then made available to the relevant manager for planning purposes. After the planning of working times, employees get to view the final schedule. Travel Management can also be integrated with ESS/MSS, allowing your employees to directly request trips, manage travel budgets and process travel expense records. Far from complete, this list of ESS & MSS functions gives you only a few examples of the many options you can make available to your employees by using ESS & MSS. Regarding modules that are integrated with ESS/MSS, you can also make reporting options available to your managers. HR Renewal is a web-based technology providing an advanced, user-friendly interface for Employee Self Services, Manager Self Services and personnel administrators. On the homepage, your employees can view the most important information, such as available vacation time or working times; they can intuitively create new requests and view documents. On the homepage, your managers also get an overview of relevant data and can perform different processes, such as approving employee requests. While the functions available to managers and employees are already familiar from Self Services, and are just getting a new look, HR Renewal presents more comprehensive modernizations for personnel administrators. With SAP HR Renewal, numerous tasks that used to be performed in the traditional SAP GUI, can now be processed in web-based, user-friendly interface. For example, data that used to be accessible only via different infotypes, can now be clearly arranged in a single interface. The available functions can be used by and in relation to all kinds of employees via the SAP Authorization Concept. In addition, users can further personalize the interfaces, adapting them to their work methods. SAP Screen Personas is a technology developed by SAP which allows you to customize and enhance SAP GUI interfaces, thereby optimizing user-friendliness. Optimizing the interfaces can also help make SAP more accepted in your company, reduce employee training costs and lower error rates. Using Drag & Drop, you can create and change interfaces as well as adapt them to your requirements. You can change both the home page and any transaction, including customer transactions, thus minimizing the entries required. 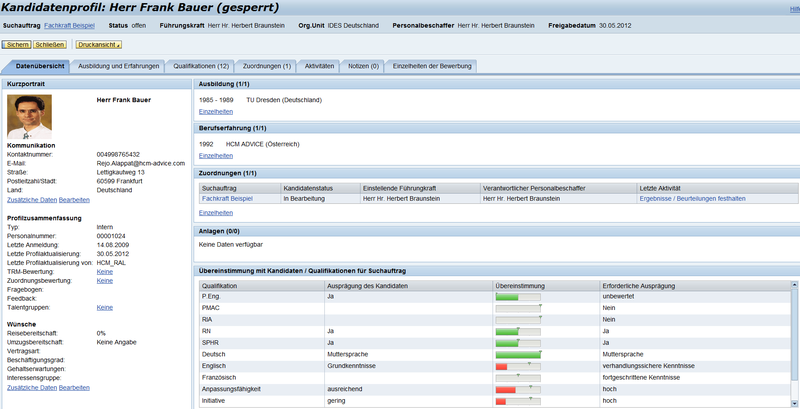 SAP Screen Personas adaptations can only be performed for SAP WebGUI but not for the locally installed SAP GUI. In contrast to SAP FIORI, SAP Screen Personas focuses on customizing and personalizing PC. Allowing for the optimization of customer-defined programs as well, this technology also works for very specific transactions. The Managers Desktop tool provides your managers with relevant analyses and approval processes. 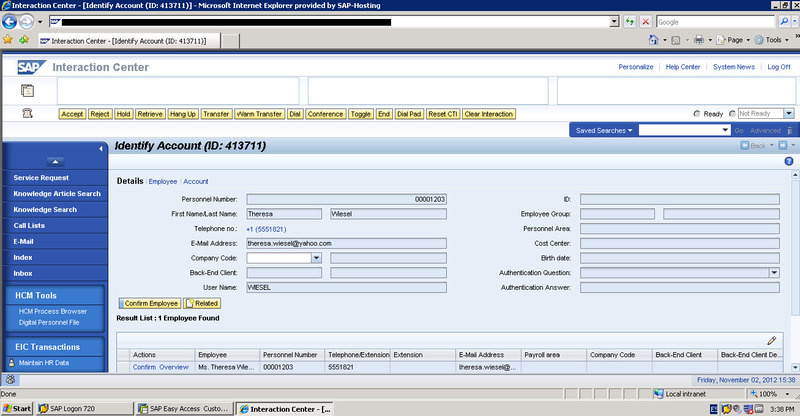 While Managers Desktop is similar to Manager Self Services in scope, it cannot be called up via a browser but only directly in SAP and is more limited than MSS, at least in some areas. Compared to Manager Self Services, Managers Desktop puts more emphasis on analyses, which can be performed more dynamically. Managers Desktop is building on the Organization Structure in SAP Organizational Management, showing managers their employees and teams. Within their organizational units, managers can modify the Organization Structure and perform different analyses. Managers can also launch personnel capacity planning, view reports and, via the integration with Compensation Management, assign raises and bonuses to employees. On the Managers Desktop, managers can view candidates who apply for positions in their organizational units, invite them to job interviews and hire them. Manager Self Services and SAP FIORI apps are advanced alternatives to Managers Desktop, offering the same functionalities in a web-based version that can be used anywhere. We at HCM ADVICE are happy to support you with expanding your Managers Desktop or switching to advanced SAP Self Service offers, such as MSS or FIORI apps. With SAP Interactive Forms by Adobe you have the option to process form-based business transactions directly in your browser. Using software from Adobe that has been integrated into the SAP environment, you can provide your employees with forms that can be filled out online, read automatically and forwarded to the SAP system. 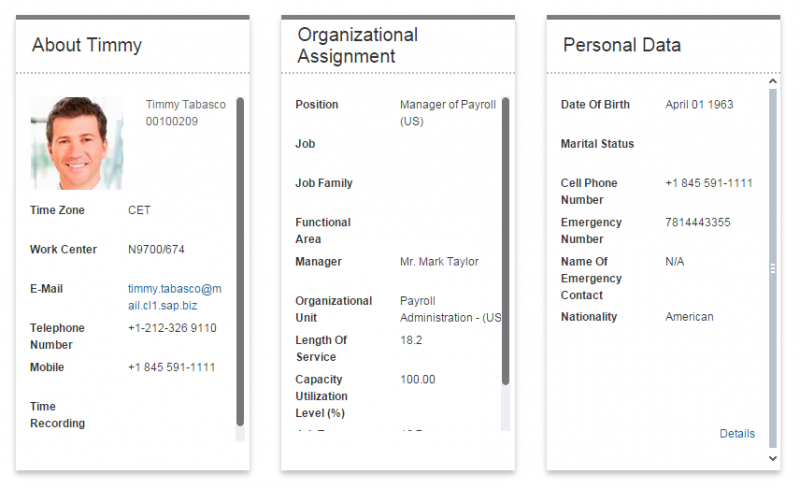 To that purpose, you can integrate Interactive Forms into your SAP Manager Self Services portal, so your employees can access them from anywhere. Interactive Forms also supports you with creating the forms, allowing you to create dynamic forms by enriching templates with data from the SAP system and using them directly. With SAP Interactive Forms by Adobe, it is also possible to digitally sign the forms filled out online and thus conclude legally valid contracts. EMPLOYEE INTERACTION CENTER is a call center app, allowing your employees or the HR department to access the most current HR master data and to record all details pertaining to the phone call. Using different communication channels, such as phone, mail, chat or a web form, your employees can contact the Employee Interaction Center anytime to ask questions, start HR processes such as master data updates or get help with more complex HR requests. Employee Interaction Center staff will answer these questions according to definable Service Level Agreements (SLAs), thus widening the range of services available to your employees. This can be necessary if your employee cannot access the relevant data via Self Services or needs further assistance. That way, the Employee Interaction Center complements the Employee and Manager Self Services and can also be directly integrated with them. With our long experience, we at HCM ADVICE are happy to support you with planning and implementing your Employee Interaction Centers to ensure a successful launch. With the SAP Business Warehouse you can consolidate, transform and analyze company data. While this especially facilitates retrieving data from the SAP systems, data from external sources can also be integrated into the SAP Business Warehouse, enabling a holistic view of your company. With its high-performance infrastructure featuring ready-made HR InfoCubes, SAP Business Warehouse supports you throughout the data analysis and interpretation process. Based on this data, your executives are at all times aware of your relevant KPIs (Key Performance Indicators) and can make the best decisions for your company. 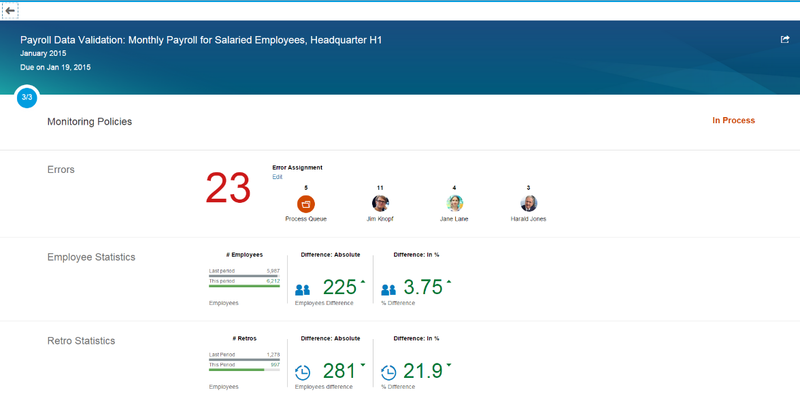 With SuccessFactors Workforce Analytics, SAP offers a cloud-based alternative for analyzing and interpreting your KPIs, which is directly embedded in SuccessFactors and can be linked to your HCM and ERP systems via interfaces. The HR Information System offers your company the tools to perform numerous standard analyses or conveniently create its own analysis. The different components of the HR Information System are the standard analyses, the Ad Hoc Query and the SAP Query. SAP standard analyses are prebuilt reports covering most of the needed information. Examples of standard analyses include summaries of employees’ attendances and absences, staff assignments for organizational units or positions and payment reports. In addition to standard reports, Ad Hoc Queries or SAP Queries allow you to create any type of analysis and store it for later use. Our experienced consultants will either create these analyses for your or assist your HR department in doing so. In case you need even more specific analyses that are beyond the scope of these tools, we are happy to create a customized program catering to your requirements. In the SAP Portfolio, SAP SuccessFactors Workforce Analytics presents a modern alternative to traditional human resources information systems, facilitating cloud-based analyses of your company’s key KPIs (Key Performance Indicators). 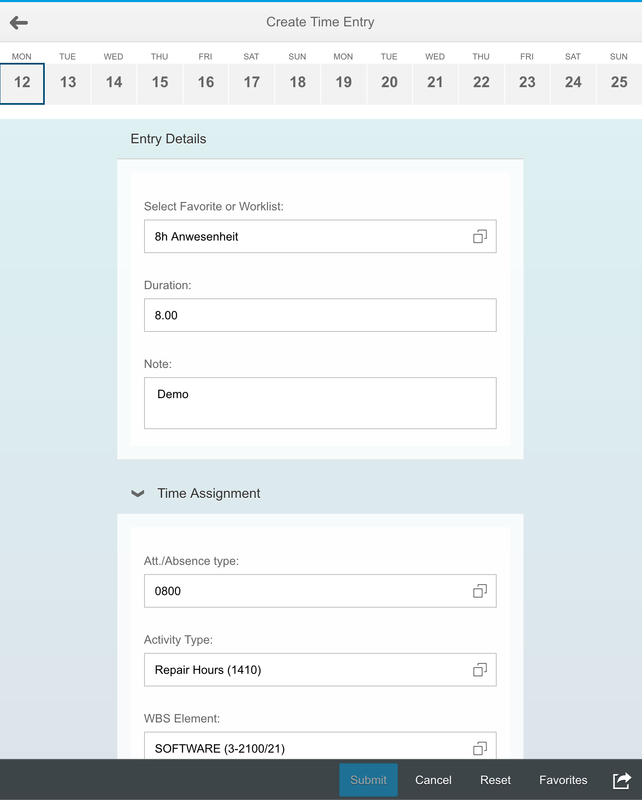 The CATS timesheet (Cross-Application Time Sheet) is a cross-application tool for recording working times, tasks and amounts and linking them with account assignment elements such as assignments, projects or cost centers. Following approval by the relevant manager, the entries made are available to all integrated components, such as Controlling, Logistics, etc. as well as Time Management or Payroll Accounting. Your employees can call up CATS either directly in the SAP system or via an integration with SAP Employee Self Services in your company’s portal. Via SAP FIORI you can call up the time sheet both on your smartphone or tablet and in a traditional web browser. Since highly sensitive data is stored in your SAP Human Capital Management System, it is important to grant access to authorized staff only. To implement effective controls SAP provides a powerful authorization concept which allows you to combine individual authorizations and assign them to employees. This can be done manually or automatically on the basis of individually defined rules. 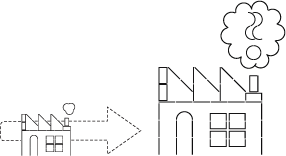 Different kinds of access can be specified (read-only, change, erase, dual control change, etc.) and assigned separately. Using the structural authorizations, you can also determine which organizational units within your Organizational Structure (based on positions) an employee has access to. In case of staffing changes, employees automatically receive the correct authorizations for their new positions. With many years of experience, we at HCM ADVICE are happy to support you with planning and implementing the optimal Authorization Concept for a smooth business. are looking for an individual offer. As customers of HCM ADVICE, please use the mobile phone number of your consultant, or call at the relevant location. We will be happy to connect you. Good programming skills to plan and implement our customers’ requirements through program adaptations and other more extensive developments. Exciting, challenging, interesting and international activities in various branches. We are a very cooperative company and work together with a partner network. 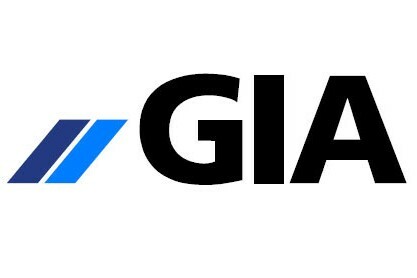 We look forward to new state-of-the-art technical and business solutions to support our customers.